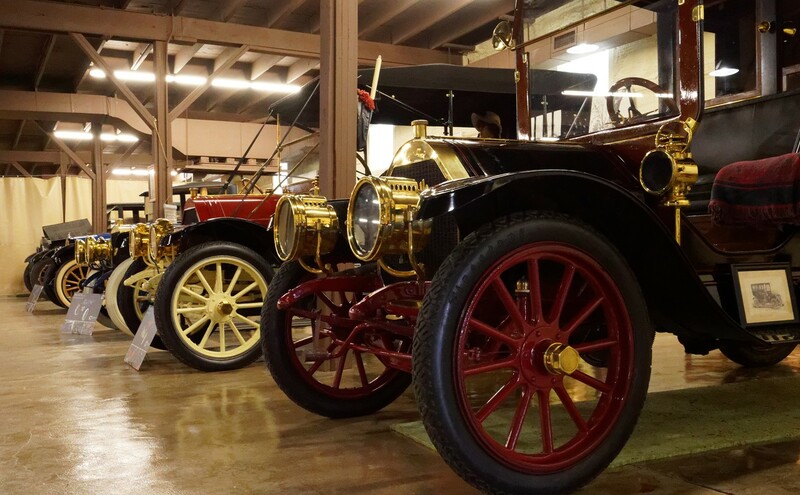 Lewis Miller's Mitchell Collection | Home of the most extensive Mitchell Motor Car Company collection. Home of the most extensive Mitchell Motor Car Company collection. Welcome to Lewis Miller’s Mitchell Collection! For the most informative viewing experience, please click the menu items on the top of the page to learn more about specific historical periods and the different Mitchell vehicles. This is the official website for Lewis Miller’s Mitchell Collection, one of the finest and most extensive collection of anything and everything related to the Mitchell wagons, bicycles, motorcycles and automobiles of the 19th and early 20th centuries. Lewis Miller is a direct descendent of the Mitchell and Lewis families and has one of the largest collections of the various products sold by the their respective companies, including The Mitchell Wagon Company, Wisconsin Wheel Works, and the Mitchell-Lewis Motor Company. This private collection is constantly in the process of growing and being renovated and is now open to the public! Stay tuned for updates about the Mitchell Collection’s permanent home, on-going projects and the development of the museum! 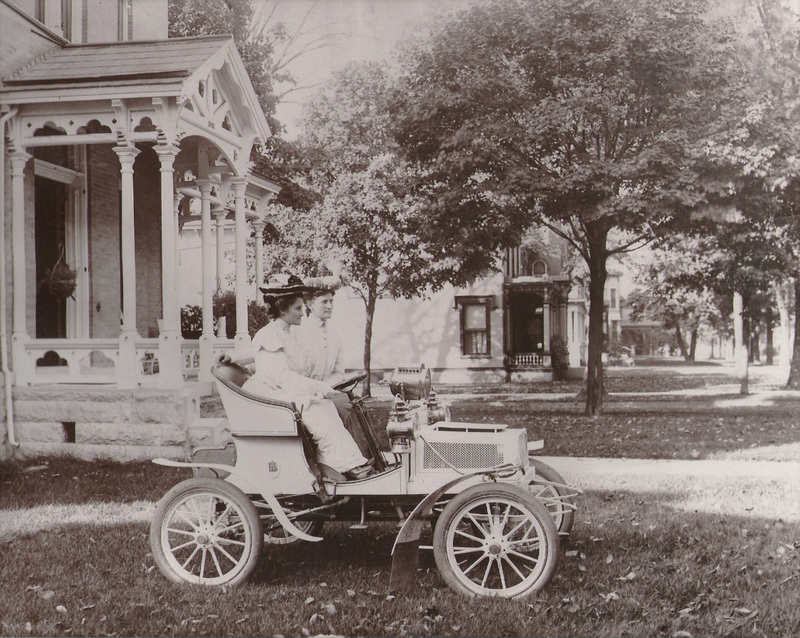 Helen and Mary Lewis in the front yard of their family home in Racine. This Mitchell auto is a 1904 2-cylinder air-cooled runabout, personalized with Helen’s monogram, HTL, visible below her on the side of the car. This is a very good start, very professional and I’m looking forward to more! I enjoyed reading about and seeing your cars! I also enjoyed hearing about your dedication to the family name to make Mitchell cars part of american history that most of us had never heard of unless we know Lewis Miller…. Thanks Lewis, your passion and dedication is appreciated! Lewis, I am so excited for you and proud to be your friend. Thank you for sharing your collection with the public! I think it is one of the truly outstanding attractions in Boonville. Congratulations on a very good web site, too. I am the great grandson of John W. Bate who was instrumental in the development of the Mitchell Automobile in the early twentieth century and I am a former resident of Racine Wisconsin. I have a lot of inherited Mitchell memorabilia and would like to talk with knowledgeable people regarding it. I may be reached at 954 383 2686.
tryed to help the Mitchell Company. Thanks, would you please be willing to send me a picture of it. I don’t have as much info on the early years of the Mitchell Co. as I would like. I am aware of a short history of the two being together. Lewis, I was looking through some old papers and magazines over the weekend and came across a familiar face. So glad I finally saw the article and caught up with you. I really enjoyed the piece. No wonder you were such a good mechanic and seemed to love what you were doing when you ran the station in Clinton. You and your gang kept several autos running for Mother and me. So very accommodating to us. Jackie Miller’s daughter, Jayne. Hi Jane: u remember you just like I saw you an hour ago. I loved your mom to death and the two of you were really favorite customers of mine. Hi, I’m so sorry for just now getting in touch with you. I dropped my phone in the water a long time ago and lost all of my addresses, passwords, and access to my website! I’m back in operation now. I have allready 30 years an MITCHELL motorcycle of1901/2.I was very pleased to see on the internet that there is a Museum.Do you have such a motorcycle and are there a couple of them in the U.S.A.Have you information about this machine? I am looking for a missing badge in front of the frame and is there anyone who can help me. I would like to come once to the U.S.A. and visit your museum. Hi John, We need to talk. Please contact me through my personal email address. THIS SITE THAT I HAVE TO USE ON MY WEB SITE IS SO USER UNFRIENDLY!!! I’ll gladly wait to hear from you. Yes, I have a badge, but they are extremely rare. I have a motorcybadge, and a bicycle badge on my “Wisconsin Wheel Works” Mitchell ladies bicycle. The motorcycle badge is in a display case. Anxious to hear from you! Can you email me some pictures? If you have a complete Mitchell, you are number 4 in the world! If you aren’t sure how to do this, do as I do. Get a teenager, young person or like I do I get my granddaughter to help me! This young generation know how to do all of this hi-tech stuff! We have remnants of a Mitchell on my grandparents’ farm in Saskatchewan. My grandfather brought it north from Minnesota when the family moved early in the 20th century. The people who knew this car first hand are gone now but, from what I can gather, my grandfather enjoyed ice-racing and it just may have made an occasional run across the border during the prohibition era. My mother once told me she remembered it to be ridiculously fast — with a monocle for a windshield. I suspect there may have been some modifications along the way. Anyway, I am eager to learn more about Mitchells and discover what the rolling chassis we have on the farm may once have been. I also suspect we have parts that could serve a restoration — or maybe we should just make a rat rod out of it? I look forward to hearing from you. Please reply to my regular email address. This Wendy is so user unfriendly!!! I’ll be glad to help you all that I can! Sincerely,Lewis.